Amiens’ Notre Dame Cathedral, registered as UNESCO world heritage, is known as the reference in polychrome discoveries on gothic portals. 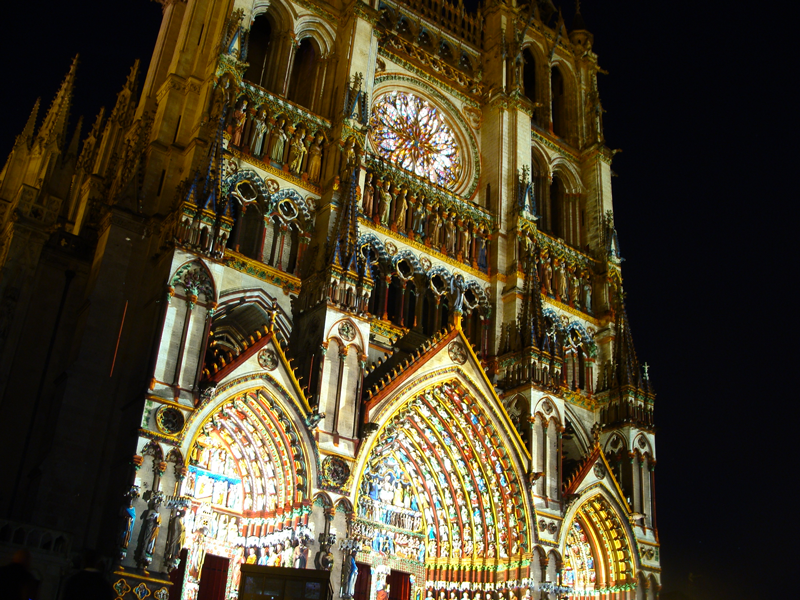 This discovery gave birth to the show « Amiens, la cathédrale en couleurs », a restitution of medieval colors with HD projections. The free show, already watched by 1,800.000 spectators, brings the saints, apostles and others figures back to life.